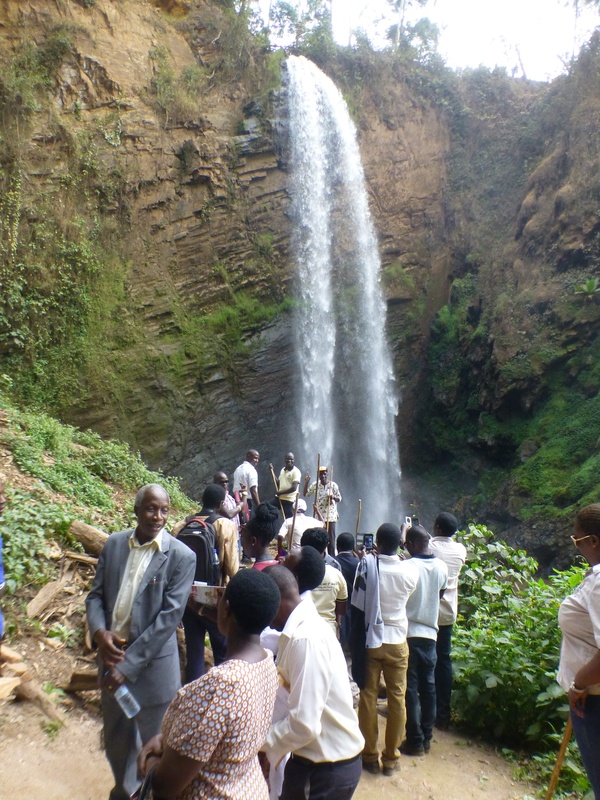 Kisiizi Falls was buzzing with excitement as the VIP guests arrived led by the Minister of State for Tourism. 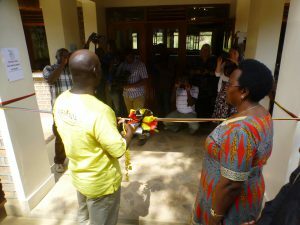 After the Ugandan and East Africa anthems led beautifully by the Primary School children, the group visited the recently opened Ahumuza Centre for patients with mental health problems. 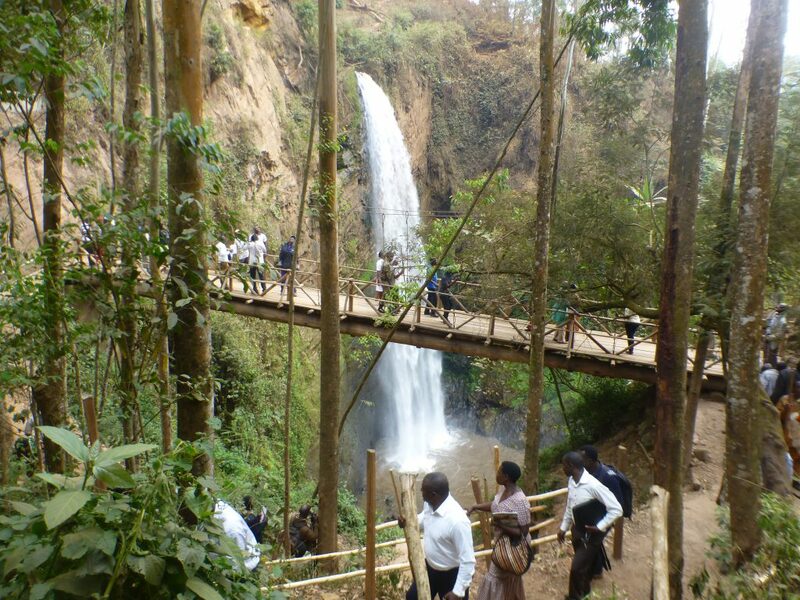 This is linked to the Kisiizi Falls project as the proceeds go to the Good Samaritan fund which automatically subsidises the costs of mental health care. He went on to see the Nutrition Unit in Children’s Ward where many families are supported by the Good Samaritan Fund. On to the Imaging Department and then the Mothers’ Waiting Home, an initiative to reduce risk to expectant mothers by providing a safe place to wait for childbirith. 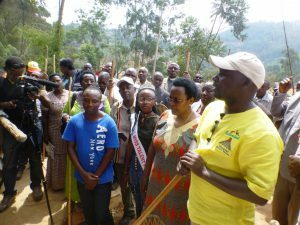 On return he cut the ribbon to formally open the Visitors’ Centre with the help of Mrs. Winifred Masiko the local Member of Parliament. 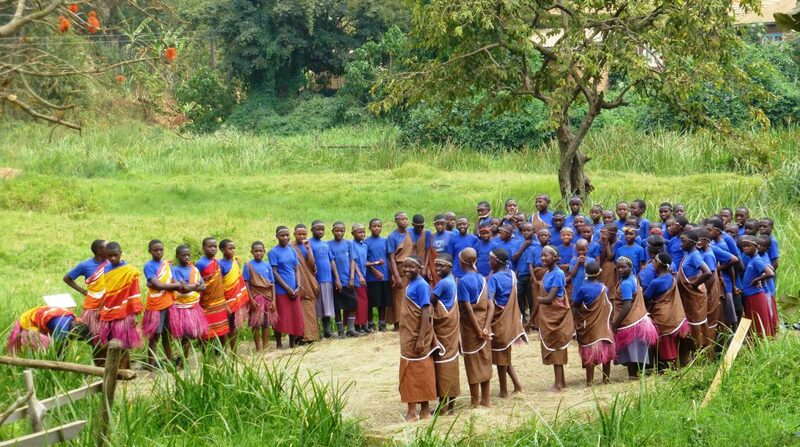 The group then enjoyed a cup of Kisiizi Falls Coffee before starting out on the tour of the Kisiizi Falls site beginning with an enthusiastic welcome dance from the primary school children. 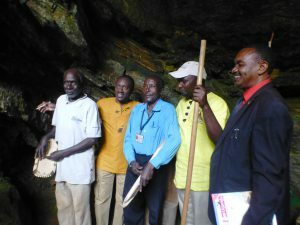 The party saw the Lagoon, enjoyed the Falls and listened to traditional Ugandan harp music played by a couple of elderly men in the Cave. Then up to the Bridge to get a fresh perspective of the Bridge while overhead high above riders zipped across on the SkyTrail causing gasps from the spectators. 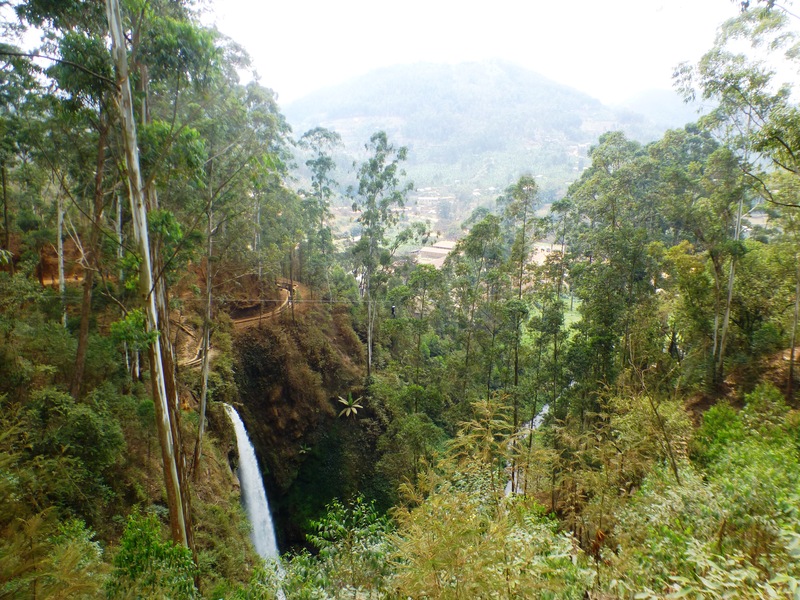 On up to the start of the SkyTrail to see the three stages in action and the path to the Top of the Falls before descending to the banda area to watch the zipline riders. 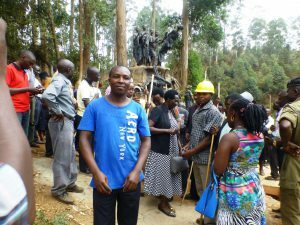 The group moved on to the magnificent Kisiizi Falls monument where, in the presence of Martin, one of the talented artists who constructed the masterpiece, the Minister of State unveiled a special stone describing the theme of the monument. 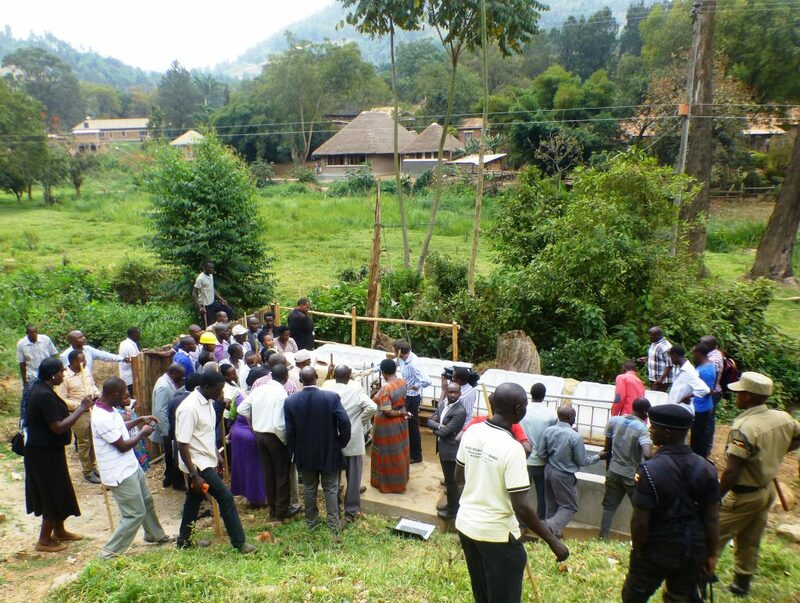 Then the group saw the new Aquaponics demonstration showing how fish and vegetables can be grown in special tanks. 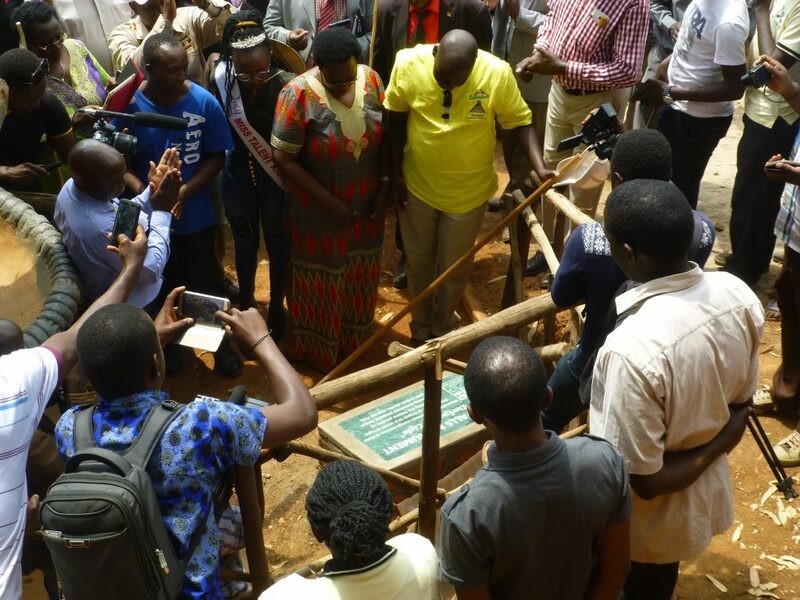 This display is of special interest to students who visit Kisiizi Falls and is particularly applicable to urban environments where lack of land and space normally prevents fish farming but Aquaponics offers a viable option. 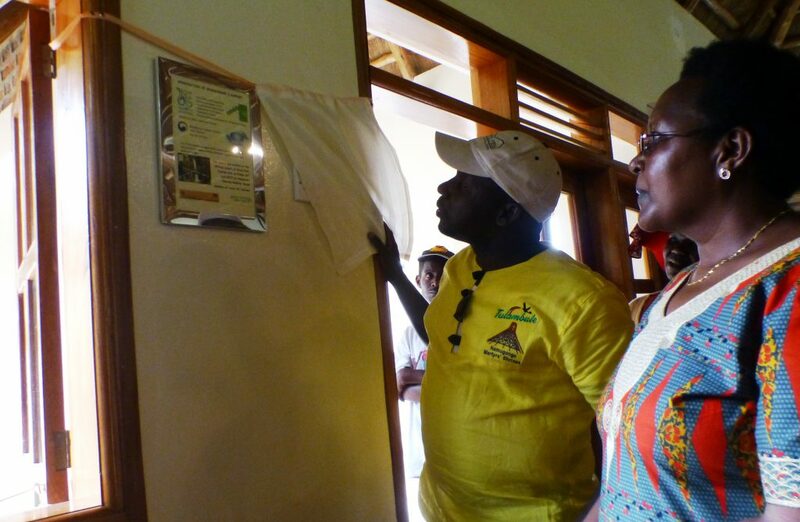 To complete the tour the group assembled again in the Visitors centre to see the Minister of State unveil a plaque appreciating the support provided by the United Nations World Tourism Organization with help from the Republic of Korea and provided via the Ugandan Ministry of Tourism, Wildlife and Antiquities who have partnered with Kisiizi Hospital in establishing Kisiizi Falls. 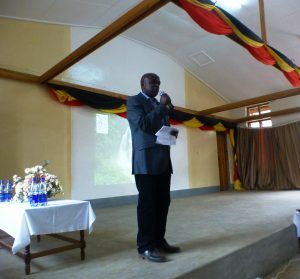 The group enjoyed an excellent lunch organised by Kisiizi Falls Guest House and then in the afternoon assembled in the Kisiizi Hospital Primary School main hall for entertainment, presentations and speeches. 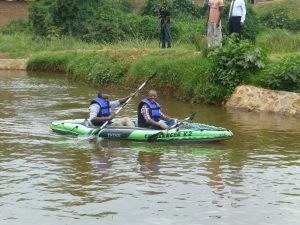 An excellent launch of an exciting site that impressed all the visitors who came. This entry was posted in General on June 28, 2017 by admin.